Table and booth reservations Contact Us at 702.797.7356. Be treated like a VIP at one of our sizzling Las Vegas bars or lounges and enjoy the best nightlife in Sin City! Featuring live music, the hippest DJs in town and seductive drink specials, our nightclubs will turn an ordinary evening into a night worth remembering! For the best of Las Vegas nightlife, be sure to stop by Red Rock Resort. Always one of the coolest Las Vegas hangouts, Rocks Lounge has live music almost every night of the week, plenty of room to dance and mingle, and lush VIP booths for when you want to escape the crowd. 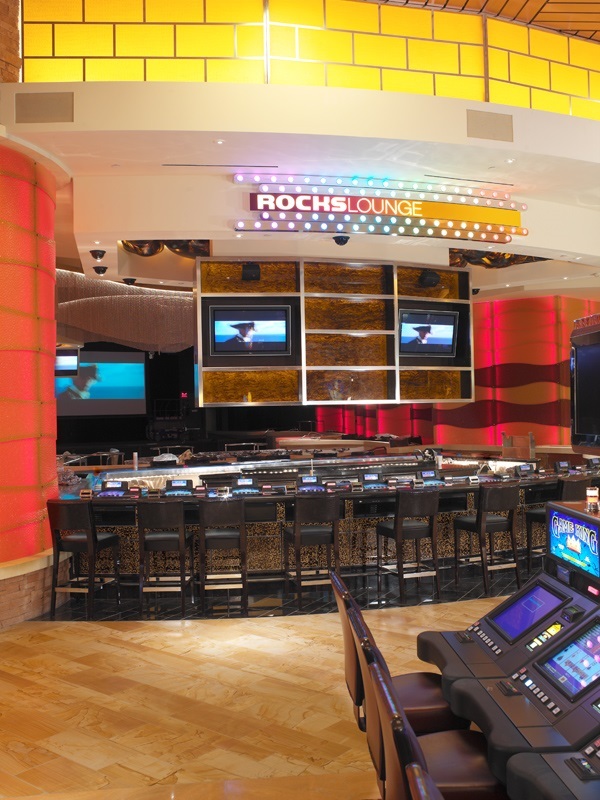 In the center of Red Rock’s gaming floor you’ll find Lucky Bar, one of our latest nightlife offerings. Providing plush, ultra-modern furnishings, a relaxed atmosphere and highly skilled bartenders – Lucky Bar is the perfect stop for a break from the gaming floor. 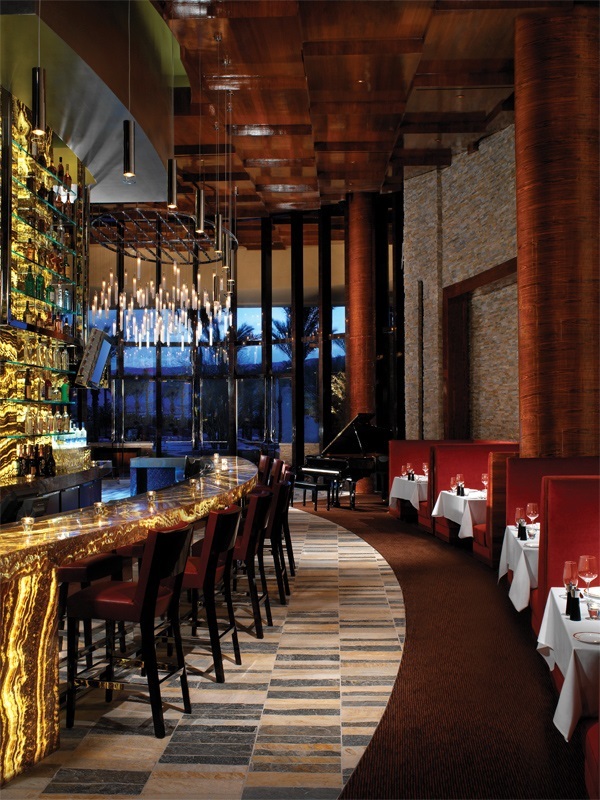 Our steakhouse serves super creative cocktails and magnificent Martinis with a poolside patio and fire pit. Hearthstone Kitchen & Cellar offers guests pure, carefully crafted house-made fare from the highest quality sourced ingredients. At the heart of Hearthstone’s comfortable, eclectic interiors stand two rustic wood-burning ovens where savory, authentic dishes are freshly roasted every day. Live entertainment Fridays & Saturdays at 7 p.m.
Must be 21 years or older. Management reserves all rights. At the entrance to the Sport Book this bar combines all the action of the Sport Book with the comfort of the finest lounges. This lounge features a VIP section overlooking the entire Sport Book, perfect for watching the game while enjoying your favorite beverage. 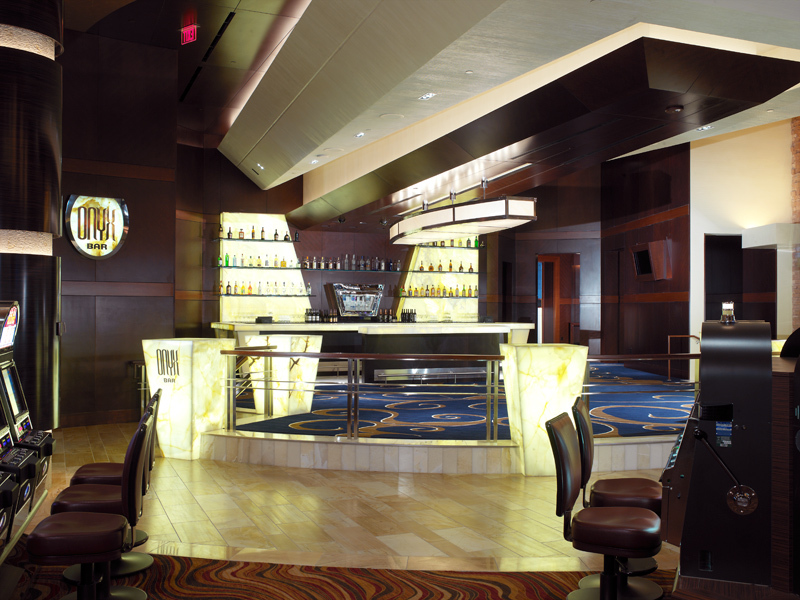 Located in the heart of the largest luxury bowling center, this bar has all you need. One of Las Vegas' premier bowling destinations, Red Rock Lanes has designed a unique bar that lets you decide to stay in the action or simply watch the strikes. Sandbar offers great drinks at the pool's edge. After treating yourself, enjoy the blackjack tables before jumping into the pool. At the base of the two staircases from the casino floor to the hotel reception is the Lobby Bar where you can unwind beneath a Swarovski crystal chandelier while enjoying a cocktail. This casual area is great to meet with friends before heading to dinner at one of Red Rock’s great restaurants, or while waiting for your room to be prepared after checking in.